I've been screwing around with setting up our game on Roll20. After making some fast plans for Friday's game, I quickly got lost in the weeds on token design. My original plan was for the PC and the Villains to all have cards – since 7th Sea 2 has almost no tactical element, I don't see a need for miniatures even on the VTT – but that plan blew up the moment I started I threw in some minor "heroes" to oppose the PCs. Scrolling through Pinterest and pulling out random images for an NPC that might be on the table for 5 minutes just seems like a big waste of time. That's when I decided to leave the cards for major figures in the game (PCs, MAJOR Villains) and just use coins for everyone else. I've designed the VTT to look like a big darkwood table so the mix of coins and cards has a really nice effect. Once I got on that track, I realized I needed more coins to distinguish different sorts of opponents. I thought I'd post the fruits of my efforts for feedback. Maybe you guys can spot something I've missed. I know "henchmen" aren't really a thing in 7th Sea 2, but I thought it would be helpful to distinguish independent villains from lackeys when the heroes square off against multiple related villains. Those are wonderful. They need sharing A.S.A.P. Thanks. Thanks CNO. I'll get them up tonight. edit: Here they are. I've included an "unknown" coin for those times you really don't want to let the players know one way or the other. 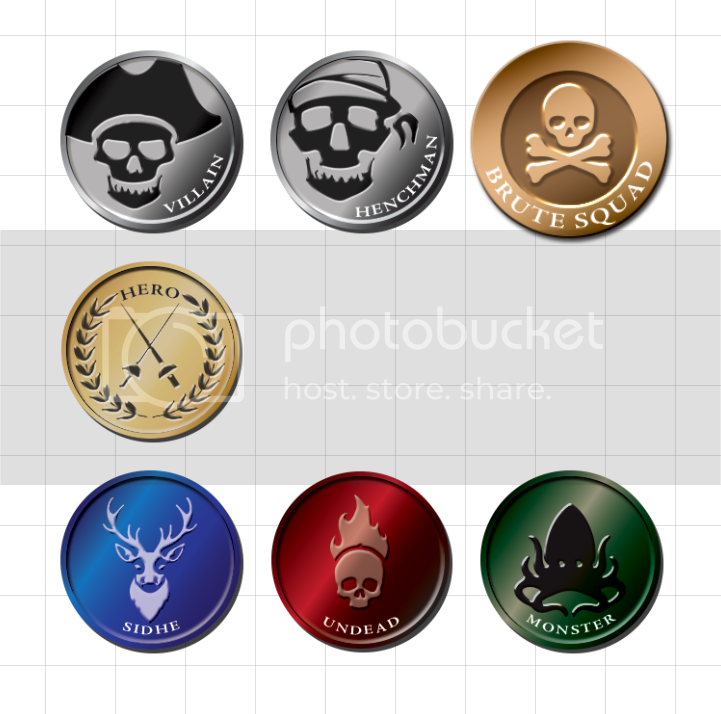 Also, I've updated the Brute Squad coin to match the style of the others. Might have to tweak it again though. Not 100% happy with it.